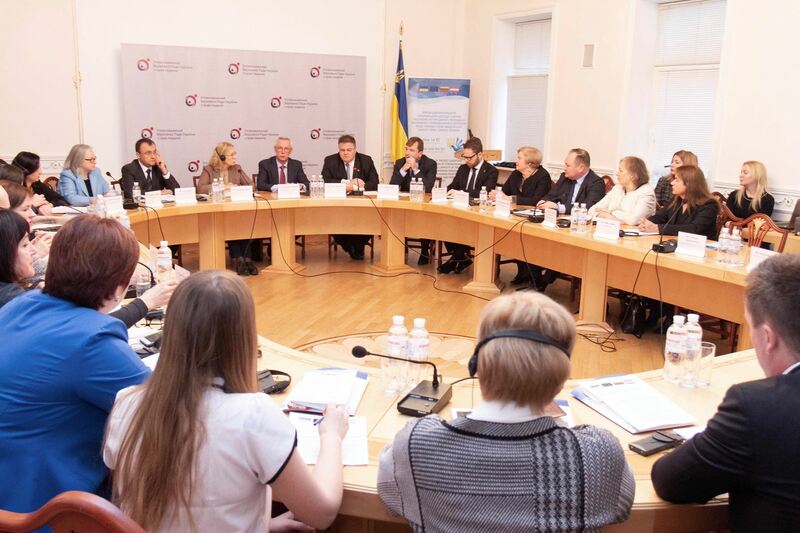 On the occasion of the completion of the Twinning project “Strengthening the Ukrainian Parliament Commissioner for Human Rights”, the project closing event took place on 7 December 2018 in Kiev. The event gathered the Secretariat of the Ukrainian Parliament Commissioner for Human Rights together with the team of Lithuanian and Austrian partners who contributed to the implementation of the project, as well as representatives of the diplomatic corps, EU representatives, media and the interested public. The Twinning project, which started in January 2017, aimed at strengthening the capacities of the Ukrainian Parliament Commissioner for Human Rights (Ombudsperson) to ensure the effective prevention of violations of human rights and freedoms as well as efficient responses to any detected violations. Among the key results of the project was the development of practical mechanisms to implement the anti-discrimination legislation adopted in Ukraine in November 2015. Throughout the project, Twinning experts also assisted in the preparation of the new draft Law on Ombudsperson - the basic law regulating activities of the Ukrainian Parliament Commissioner for Human Rights. Besides, Twinning experts developed and presented the necessary amendments to bring this new draft in line with EU standards and the new General Data Protection Regulation. During the closing conference, the Ludwig Boltzmann Institute of Human Rights was represented by senior expert for data protection and e-government Waltraut Kotschy. 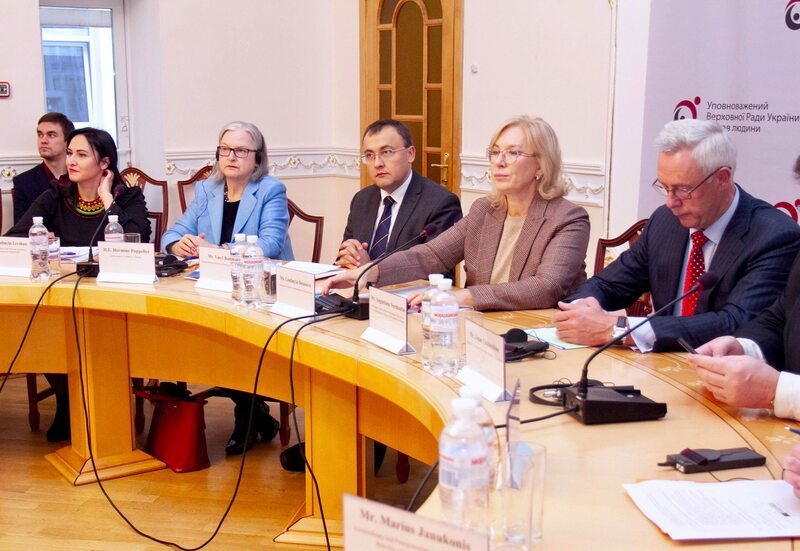 Among other participants to the conference were Austrian Ambassador Hermine Poppeller, Lithuanian Minister of Foreign Affairs Linas Linkevičius and Ukrainian Minister of Foreign Affairs Pavlo Klimkin. The conference agenda can be accessed in the download section of this article. A video highlighting the project achievements and featuring MS Junior Project Leader Hannes Tretter was presented at the closing conference and is available online. Another output of the project was Monika Mayrhofer’s contribution to the 2018 publication of the European Yearbook on Human Rights, with her paper on “The Role of the Ukrainian Parliament Commissioner for Human Rights in the Field of Equality and Non-Discrimination”. All main findings of the project and recommendations regarding procedures of monitoring human rights can be found on the project website which will be accessible until the end of 2020.